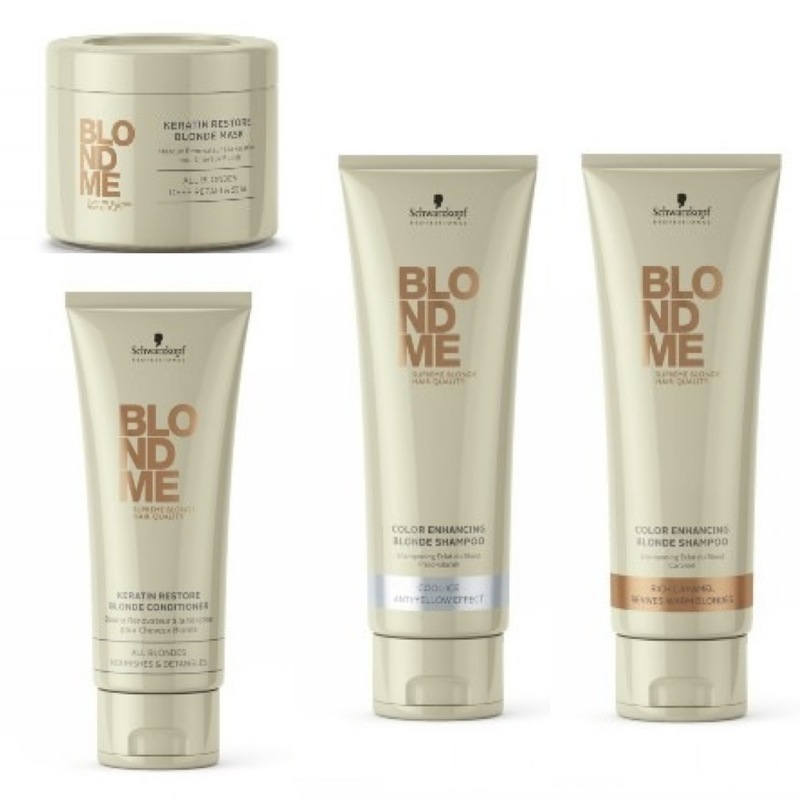 BLONDME by Schwarzkopf Professional Giveaway! 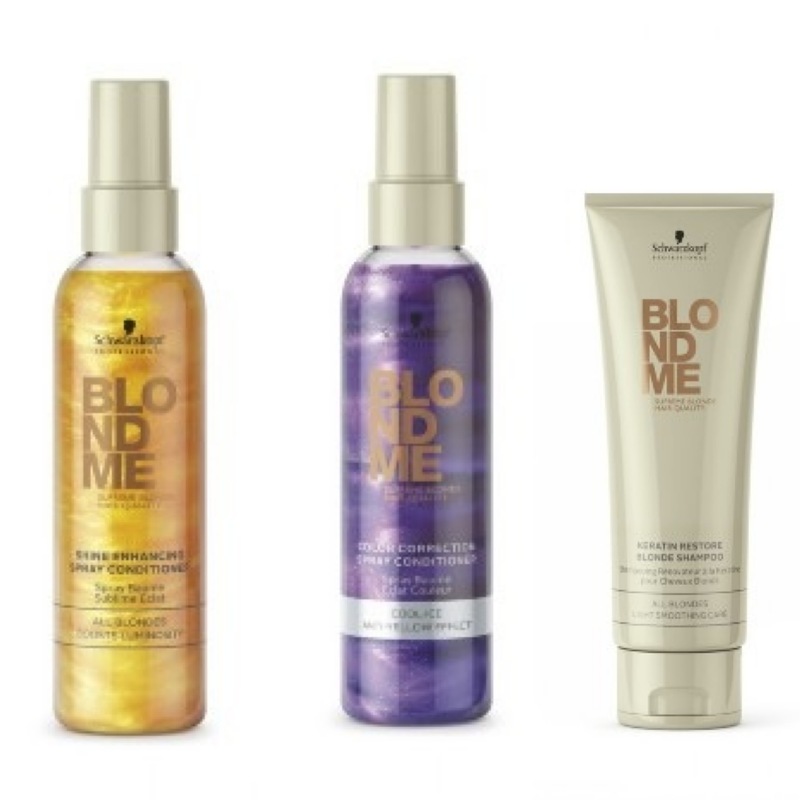 With the official first day of summer just a couple of weeks away, our friends at Schwarzkopf Professional want to celebrate with a summer giveaway featuring the newly relaunched BLONDME product range! The BLONDME care range has everything you need to keep your blonde perfect from the beach, to the barbeque and anywhere in between! Whether you’re a bleach blonde, or just testing the blonde waters with highlights or ombre, there’s something for everyone. And with the line being co-created by celebrity colorist Kim Vo, you know your strands are in good hands! brown bases with ombré!”, says Vo. against breakage after lightening procedures, and leaves it smooth, soft and shiny. The Keratin Restore Blonde Mask adds a boost of added moisture and repair. Shade perfection shampoos designed to enhance and refresh blonde tones. Two formulas allow for tailored cleansing, and leave behind clear unaltered blonde shades free of dullness and brassiness. A great option for boosting luminousity on all blondes! This easy use, spray leave-in conditioner, contains golden shimmer pigments for a subtle gorgeous glow. Just shake to activate and finish all styles! For further information on the new BLONDME Care Range please visit www.schwarzkopf-professional.ca & www.salonfinder.ca for a Schwarzkopf Professional partner salon near you! I had the opportunity to test drive BLONDME’s Keratin Restore Blonde Shampoo, Keratin Restore Blonde Conditioner, and the Shine Enhancing Spray Conditioner, all at a perfect time as my hair had been high-lighted quite a few levels lighter than my natural shade. A creamy shampoo with a soft, salon-treatment scent, it provided a great cleanse and protected my hair, while the conditioner was deeply nourishing. Considering it was not a mask or a deep conditioner, the Keratin Restore softened my hair and made it feel amazing and shiny! The Shine Enhancing Spray, when settled, appears clear, but give it a good shake and its golden pigments come to life, leaving your hair with an instant gorgeous shiny finish with a delicious scent! And now you get a chance to try BLONDME for yourself! Win a prize pack of all seven products by heading over to Twitter and tweeting to @SKProfessional and @the_Obsessed what you are most looking forward to this #BLONDMEsummer! Prize package is valued at $130 (Cdn)!